Just right after I posted my article on my Escape from the City’s Hustle and Bustle last Friday, I received a great news. As I mentioned, I was waiting for something big to happen and this is what I am talking about. I’ve applied for this Armenian visa and I got it. Visa is a form of documentation issued by the nation’s government allowing the bearer to enter or leave that country. It is located in the Caucasus region along with Georgia, Azerbaijan and the Russian Federation. It has been part of what-so-called Eurasia since it lies between Europe and Asia. Applying for a visa to Republic of Armenia is easy. You can even do it online by visiting their site, click here. You just need to make sure that you have a credit card to pay for the visa. The passport that you are currently holding must be eligible for the electronic visa application since there are few nationals of other countries wherein the embassy needs more requirements. Those citizens of countries such as Saudi Arabia, Afghanistan, Bangladesh, Iraq, Syria, Viet Nam, Sri Lanka, Palestine, Pakistan, Nepal and all African countries except South Africa need to have an invitation to get an entry visa and thus need to apply in the consulates or embassies abroad before traveling. The rest who were not mentioned can get their visa online or on arrival at borders/ airports. There are a lot of options for your e-Visa type and you can choose that during your application process and it will also indicate how much the visa fee will cost you. I tried applying for a tourist visa and it is valid for 21 days length of stay in the country. Within just 2 business days, I already got my e-Visa and printed it out. Now, I can go to Armenia and see the beauty of a very rich historic country. I can finally see the view of Mount Ararat where Noah’s ark rest after the Biblical flood and a lot of UNESCO world heritage sites. Well, let me tell you how it started. It happened when one day, I was sitting on our living room while thinking what to do. Then suddenly a travel bug bit me so, I went to scan and surf the net on where my Philippine passport can go without too much restrictions and requirements from embassies. 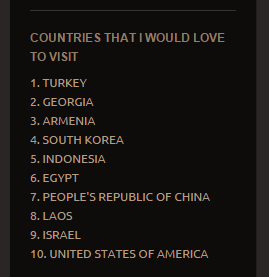 That time, I really wanted to go to another country where it has rich culture and has a lot of heritage sites and those were the reasons I found Republic of Armenia since it topped on the list, it fit on my checklist and it ranked third on the countries I would love to visit. 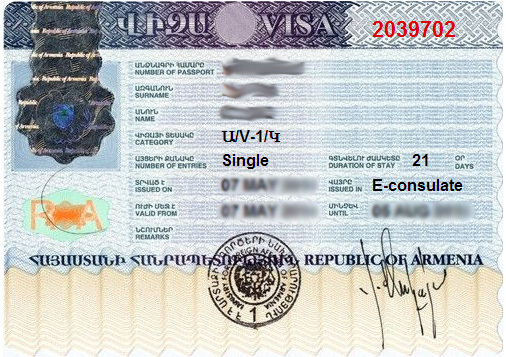 It was fast and easy for Filipino citizens to grab an Armenian visa. But even though I am eligible to go to Armenia, it still ain’t easy to get there. Since I have the visa, I was looking for a plane ticket going there but the destination is not that famous and only few airline carriers has flights heading there. Zvartnots International Airport (EVN) has limited flights to and from other countries. I either need to go to Tbilisi, Georgia and cross countries or I can fly directly to Yerevan but it will cost me more. Thus, I decided to set the plan aside for now, because I also have to follow what I have in my travel planner and cancelling the month of May itineraries is out of the question. So, I pushed through my backpacking trip instead. Well I read your post about Buenavista and I understood that you’ve been weighing options and carefully making out some decisions. Best of luck then my friend! Our group plans to be in Tblisi/Yerevan this coming winter. We’re already looking forward to it and will definitely share our experiences with you. That’s great. Can’t wait to read your adventures. So excited for you guys. ?